The letter from his sister was a strike to his gut. She had written him not two months past about her hopes and daydreams for the Season, and they had struck Toad then as gossamer, delicate fancies protected by magic and fairy dust. Sentimental, to be sure, but Toad still recalled Almyra learning to call him Toad before David, and helping their mother teach her to walk, and discussion of dance cards did not make her seem any more grown. But now, his baby sister&apos;s innocent dreams had been shattered by Sally&apos;s ordeal. I am terrified of the entire enterprise. I only thought of the dancing and conversation, and meeting gentlemen of broader interests and greater intellect, but when I see what can happen to a girl without maintaining constant vigilance? What of girls who haven&apos;t chaperones and older brothers and fathers to protect them from rogues? And what of a girl whose father was too old and older brother too distant and obstinate to adequately protect her? They were all very lucky the duchess was, herself, expert in weaponry, but a man does not wish his mother to take up fights for him, nor allow her to be placed in danger he could take on himself. 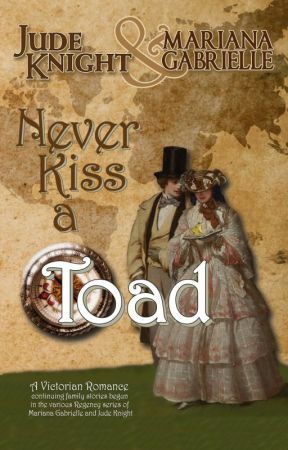 Toad had to give one thing to Haverford: he had stood in front of many a young lady who might otherwise be exploited. Like that friend of Sally&apos;s, Emma, when Lord Athol made his lecherous advances. Toad&apos;s mind shuddered to a halt, and he stared at his plate for long moments as his stomach chewed, and bile rose in his throat. Like Haverford had stood in front of Sally. Who had been exploited by Wellbridge&apos;s heir when she was but one step removed from the schoolroom. Toad had been corrupting Sally—blackmail or no—since he was fifteen. Her father was only doing what Toad would do, if he had a daughter so callously treated by a gentleman who purported to love her. Haverford was doing to Toad, exactly what Toad hoped he would do against every other man on the planet. Toad wrapped an arm around his midsection and just sat with the pain of that, exacerbated by the new fear for his sister&apos;s security. Eventually, he had to admit to himself Haverford would stand for Almyra to dispatch any threat, if it came to it, if Wellbridge were too frail and Toad weren&apos;t at hand. He trusted Haverford with his sister, to the extent the man could be trusted, but Toad was not going to let Almyra be presented at Court without a close male relation, skilled in weapons, standing sentinel nearby. 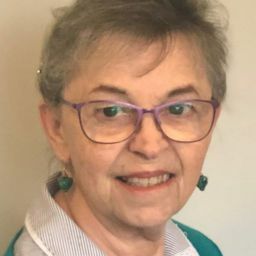 Sally will have written to you about her experience at the Coventon wedding, but I know she will downplay the horror of it and tell you not to worry. But Toad, you are not to listen to her! You must worry for her! Someone must! Now Toad&apos;s sister was unhinged. How could she think she need exhort Toad to worry? To say nothing of the concern that had infected the entirety of Sally&apos;s family. Women are irrational. I was with her, afterward, and for three days, it was as though she saw nothing. We were afraid she might never speak again. It is only by sheer luck and happenstance she was not truly violated, though what did happen was more than enough shock for any lady to live through. Oh, dear God. He had been telling himself this wouldn&apos;t change Sally, that her tone in her letter was pragmatic, not numb, but he had known it in his heart. He was a fool. Dear God, his poor, sweet Sally. The daughter of a wealthy duke is nothing but a target for fortune hunters, fools, and men with ill intent. I am not as beautiful as Sally, but that hardly matters when one is an heiress. Toad bristled at that. His sister was at least as beautiful as Sally. Girls who do not know their own worth end up wallflowers, and his sister would not be a wallflower. And she would not be married to someone who only wanted her dowry, if Toad had any say in it. And he was going to make sure he did.